Atlanta is a beautiful city, especially in the summer months. Spouts of culture, Southern hospitality, and one of the best food capitals in the world. Are you planning on taking a break from work to visit the wonderful Southern city of Atlanta, Georgia? 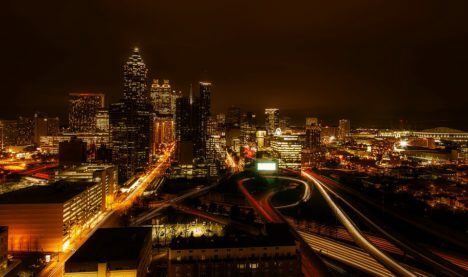 Here are some tips to make your life a little easier when visiting Atlanta, Georgia. One of the best Georgia coastal cities, Savannah Georgia is a beautiful place to visit, live or ride in. Savannah Georgia is famous for its beautiful parks, horse carriages, and unique antebellum architecture. Savannah is the oldest city in Georgia, it was established in 1733. Also, many historic homes and parks are well preserved and great places to visit. As a motorcycle owner, the weather all year long is very favorable for riding. 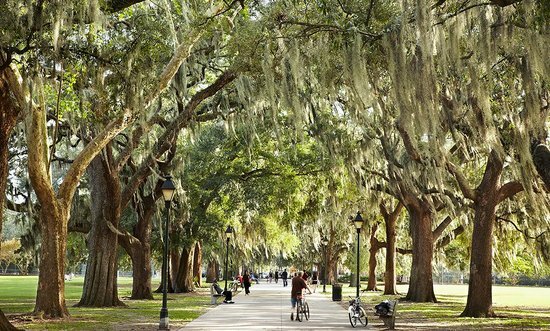 There are many great routes you can take out of Savannah. A great weekend ride would be up the coast from Savannah to Charleston. This ride provides beautiful views all the way up the coast. In addition, this particular ride is about 105 miles one way. This route is best during the fall or spring when the weather is just a little milder. Also, this route is also known as the Low Country route. Some recommended stops along the way are the Angel Oak, a 300-year-old 65-foot Oak tree. The next stop on the ride is Edisto Island. There you can visit the Serpentarium, filled with reptiles from all over the region. Your next stop on the route can be Beaufort, South Carolina. Beaufort is a very historic city of South Carolina and was known for being the home of some of South Carolinas wealthiest residents back in the day. In addition to Beaufort, you can also visit St. Helena Island and Hunting Island. St. Helena Island is home to Penn Carter, the first African-American school and it is preserved as a National Historic Landmark. Hunting Island is also a state park and is ten miles long. Visit the forest were the jungle scenes for Forrest Gump was shot. Before reaching Savannah there is one other stop, the Pinckney Island National Wildlife Refuge. If you are a bird watcher, this is one of the best places in South Carolina of seeing all types. Finally, end your trip in Savannah Georgia. While there visit Paula Deans restaurant the Lady and Sons. There you can enjoy some terrific southern food. This is just one example of a great ride you can take up and down the Southeast Coastline. 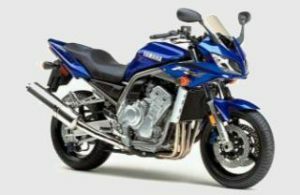 If you are looking to sell your motorcycle for cash to buy a new bike, submit your bike to us today for the cash you deserve for your used bike. See why Sell My Motorcycle Online is the best place in Georgia or South Carolina to sell your motorcycle. Stone Mountain Georgia is a small suburb of Atlanta Georgia and is home to Stone Mountain Park. Stone Mountain Park is one of the most popular attractions in Georgia. Stone Mountain is very family friendly and the Crossroads area is great for watching live shows, shopping and eating. The carved mountain shows faces of Stonewall Jackson, Robert E. Lee and Jefferson Davis. The scenery and historic environment makes Stone Mountain a great place to ride. One of the highlights of riding in Stone Mountain is with out a doubt the scenery, nature and beautiful farms are along your roads. The road quality is almost perfect and there are plenty of roadside amenities such as rest stops and scenic views. A great riding event is the Abba House Ride for Recovery 2016. The ride starts at the Abba House Thrift Store Parking Lot, 1309 Main Street in Perry. There will be several stops along the route and will end with raffles, an auction, prizes, and music. The ride will benefit the women and children of Abba House. For more information call 478-218-0043 ext. 403. Another great event is the Adventure Bags, Inc. 5th Annual Motorcycle Ride. The ride begins at the Cycle World of Athens, 4225 Atlanta Highway in Bogart. For more information call 687-425-0316. If you are looking to sell your motorcycle in Stone Mountain, Georgia, the best place is here at Sell My Motorcycle. We keep the process simple and hassle free, why bother with dealers that want to under cut you on the value of your bike or selling it yourself and dealing with all the odd balls that contact you. To sell yo us simple fill out our easy quote form or give us a call at 1-404-975-0072. Once we receive your submission we will give you a fair price for your motorcycle, once agreed upon we will arrange for pick up and issue a check. No matte rif you live in Stone Mountain or Atlanta we will buy your motorcycle from you!